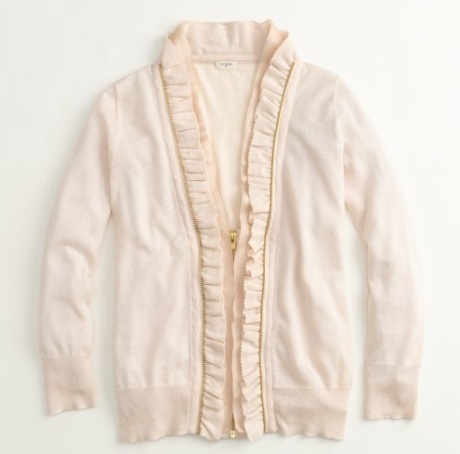 J Crew's scalloped zipper cardigan originally retailed for $98 and is now sold out. This Apt. 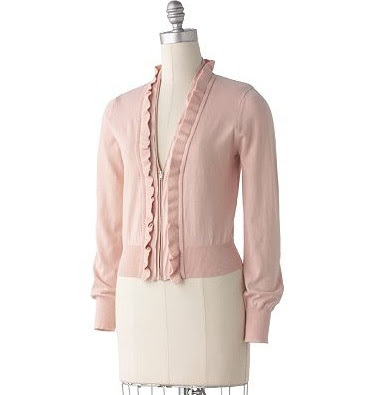 9 ruffle cardigan from Kohl's is a great alternative and is currently on sale for $25. It also comes in a taupe color and you can click here if you're interested in purchasing. A factory version of the J Crew cardigan is available fir $34.50. love that kohl's cardigan...reminds me to always keep my eyes open! !